“American TWIX vs. European TWIX…” | Fidel's Wandering Eye. A little while ago I had the pleasure of eating two TWIX candy bars. One was from Europe and the second was the American version. I know, I know…it’s unhealthy. But seriously, I’m like three times your size so I think I can take it. 1) The American version was softer on the outside, but a little less caramel-filled than the European version. The European version was exactly opposite…tons of caramel, but a tad brick-like on the outside. 2) The European version doesn’t have the itty bitty grooves running along the top of the two bars like the American version…who knows why. Maybe Americans consider themselves a little ‘groovier’ than Europeans.. No…that can’t be it. 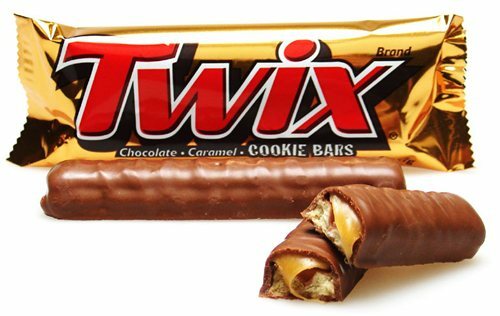 3) And finally: the American TWIX has less carbs but more fat than the European version. The European one had almost twice the calories…which I find interesting as most Americans are twice the size as Europeans, statistically speaking. …your life must be really boring if you had time to read this. …either that or you just really like TWIX.